When you get down to monitoring the image of your company, its brands or its products on the internet, you generally start by wondering where you are being talked about, what is being said and who the “influencers” are. And yet understanding your environment is becoming increasingly complex in view of the volume of content posted on the internet. Actulligence Consulting has developed a methodology and tools enabling the content posted by internet users to be shown, their activities to be identified and their interactions to be shown. To measure an event’s impact by numbers of people reached, coverage and exposure; this can also be done dynamically by regularly updated maps. The mapping of data and web ecosystems must above all else be a real operational tool enabling you to make good decisions about your public relations and to follow the effectiveness of your online public relations campaigns. In a monitoring system, mapping will enable you to understand your environment and identify its key points. It also enables the highlighting of relationships which are hidden or difficult to see without resorting to a preliminary mapping analysis. 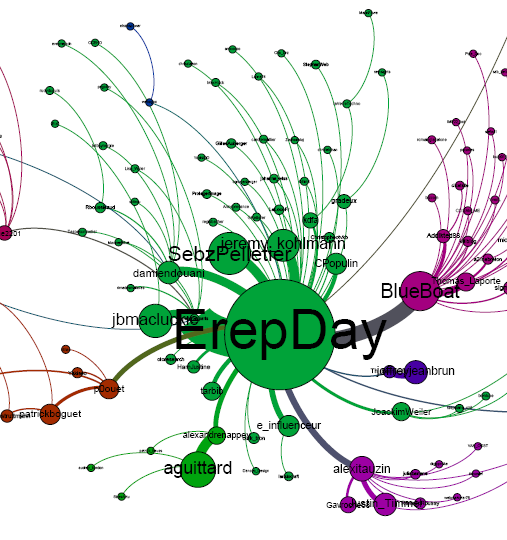 eRepDay, the event devoted to online reputation was held in Mulhouse on 15 June. A trending topic for France on Twitter on the day of the event, Actulligence was able to analyse the coverage posted on Twitter in under 24 hours. 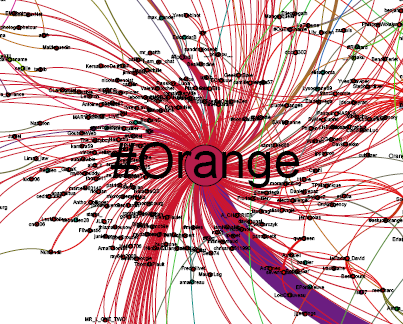 On 6 July 2012, the Orange France mobile telephony network suffered an unprecedented breakdown preventing any voice, internet and SMS use for several hours. How did Twitter react?